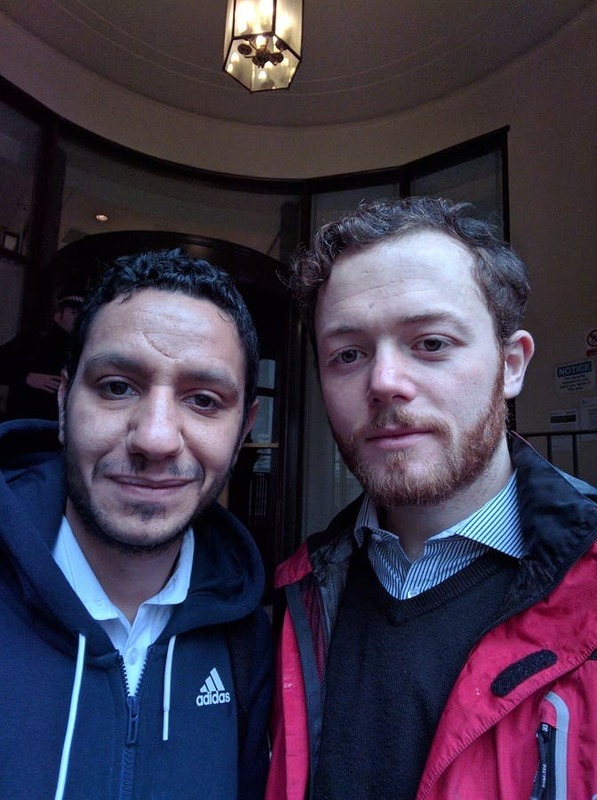 The appearance of the Bahraini citizen, Sayed Ahmed Alwadaei standing next to Sam Walton, a British protestor who confronted Saudi Major General Ahmed al-Asiri in London on Thursday, cast more spotlight on the “attempted attack” targeting the spokesperson for the Saudi-led coalition in Yemen. 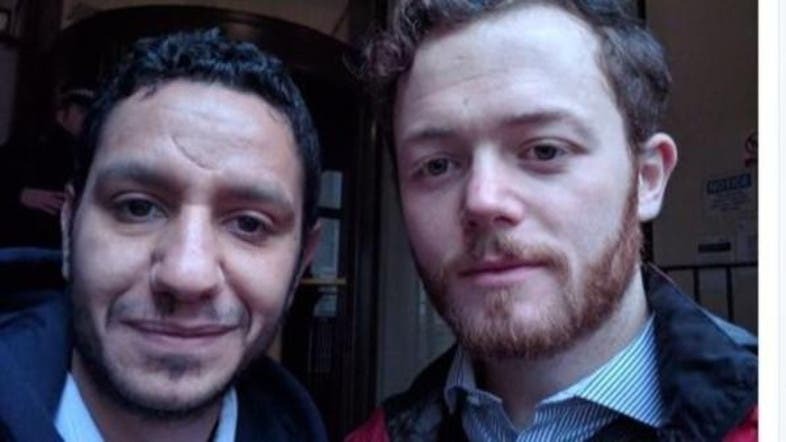 The London-based alWadaei, a director of advocacy at the Bahrain Institute for Rights and Democracy, is associated with Iranian media outlets and broadcasters - chiefly al-Alam TV channel, which provides intensive coverage of his activities. He appeared next to Walton following the attempted attack. 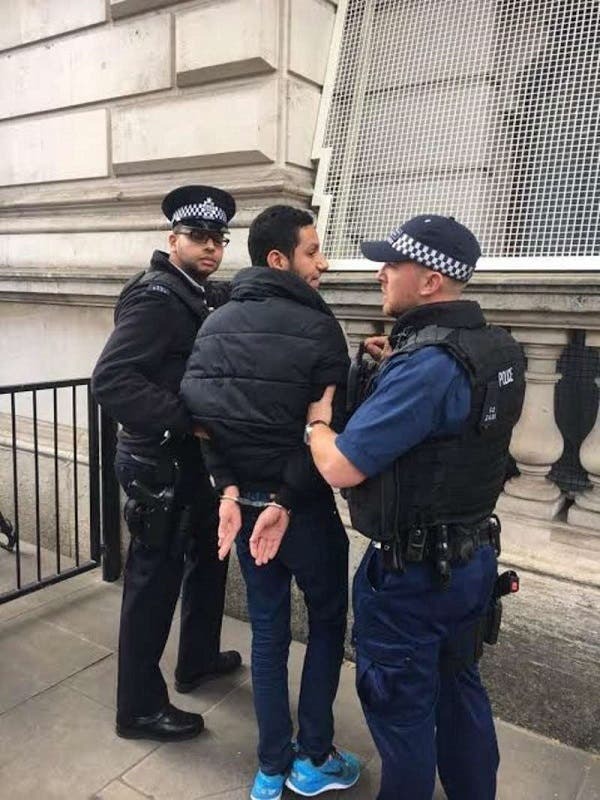 Last October, Alwadaei hurled himself at King Hamad bin Isa al Khalifa of Bahrain’s convoy during an official visit to London and appeared to bang on the window of the limousine carrying the royal. Police managed to pin and arrest him. He was released shortly afterwards. Following the incident, Bahraini officials branded Alwadaei as an Iranian agent, who characterized the occurrence as “an attempt by Iran’s agents to interrupt the visit of the King of Bahrain to Britain,” as quoted by Saudi Okaz newspaper published on October 27, 2016. However, as for the “attempted attack” on Asiri, some British reports referred to the existence of Alwadai standing next to his long-time friend Walton, who is allegedly deemed by an observer as a “surrogate employed to disrupt the Saudi official visit to London” after the revelation of the friendship between the two friend.